FANTASTIC HALLOWEEN PARTY ACCESSORIES & GIFTS: Bonitoys Upgrade Halloween Flying fidget spinner, Which is design for Halloween and it takes turns showing 5 pattern: Pumpkin, Owl, Skull, Scream and Happy Halloween when it flying. It's a awesome gift for your kids, friends and family. 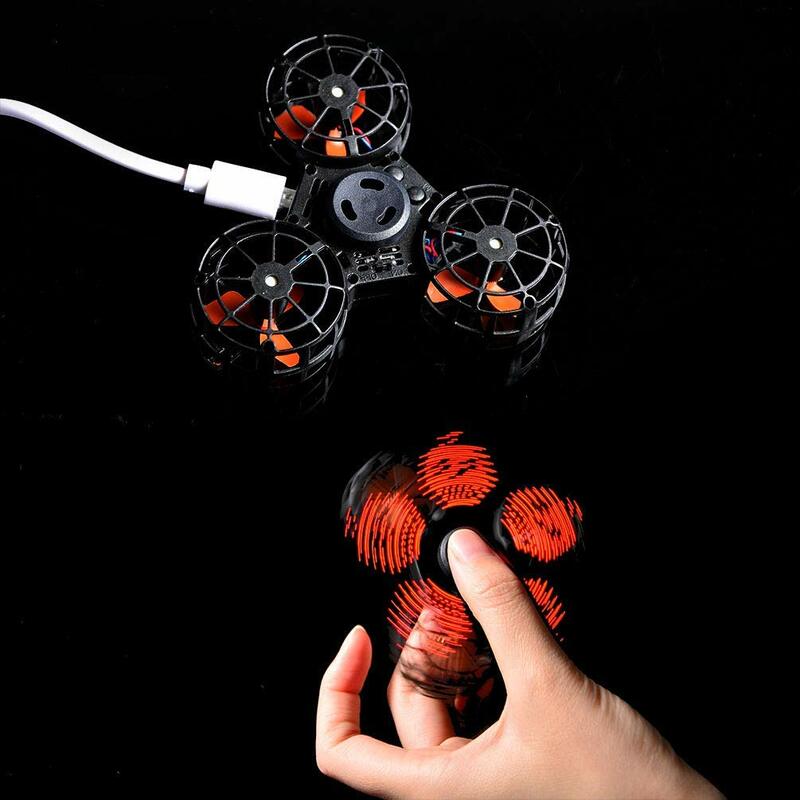 MULTIFUNCTIONAL SPINNER: The Upgraded F1+ spinner not only as a fidget spinner, it also a tiny drone toys. When as a fidget spinner, You can choose which pattern to display. When as a flying fidget spinner, It will switch pattern to display during flight automatically. A really funny and interesting for you and your family or your friends. EASY TO PLAY: Power ON the device, then spin it clockwise rapidly with LED cree side upward, release your fingers when the motors start working, toss it and release it towards, it will hover in the air and then come back to you automatically. MULTI-PLAYER INTERACTIVE GAMES: This flying fidget spinner not only suitable for a person to play alone, and also suitable for people to play with your friends and family, it could bring a lot of fun with passing it back and forth. Effective to relieve your stress and Anti-Anxiety, enhance the feelings of a friend and family. HIGH QUALITY AND SAFETY TOYS: Made of ABS material,great shockproof and CE, FCC, and RoHS certified to be safe that it will not hurt kid's finger,durable and safe for everyone. Bonitoys Flying fidget spinner includes 30 days worry free money back guarantee and 1 years manufacture warranty. Any problem please feel free to contact us for help.